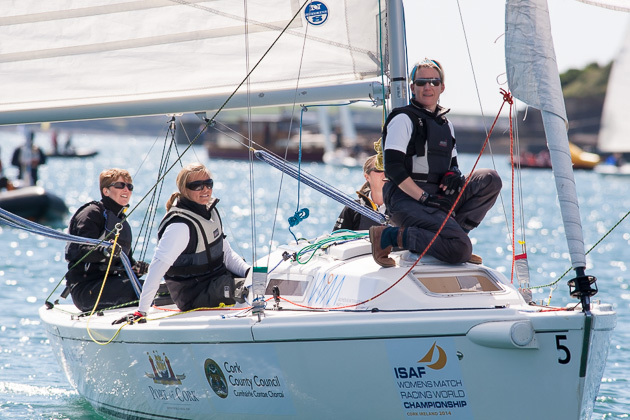 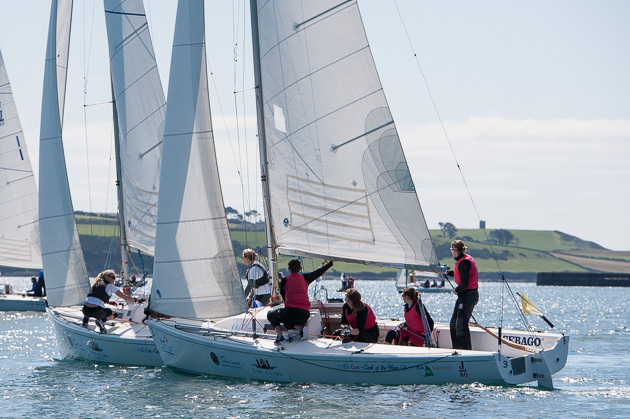 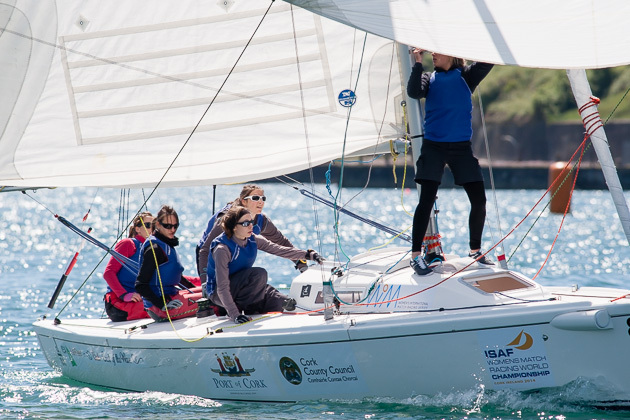 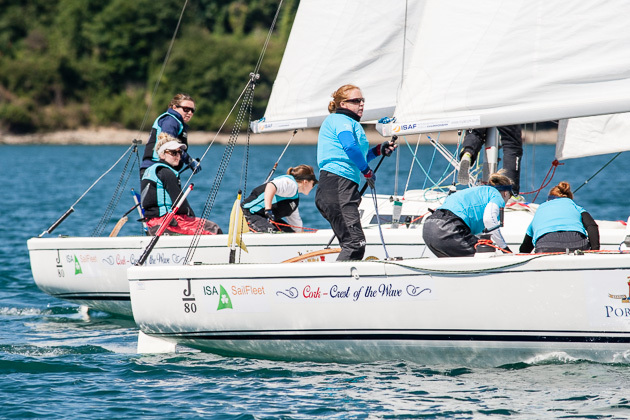 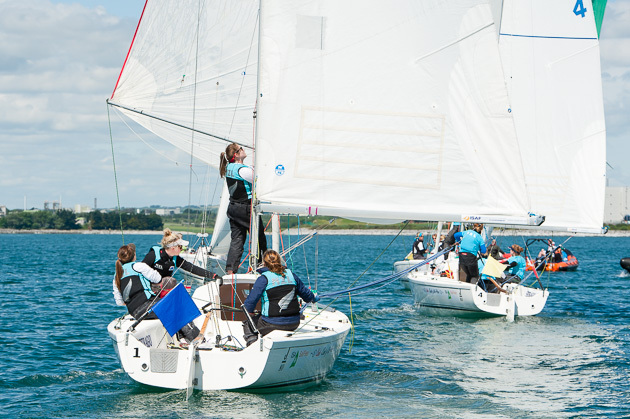 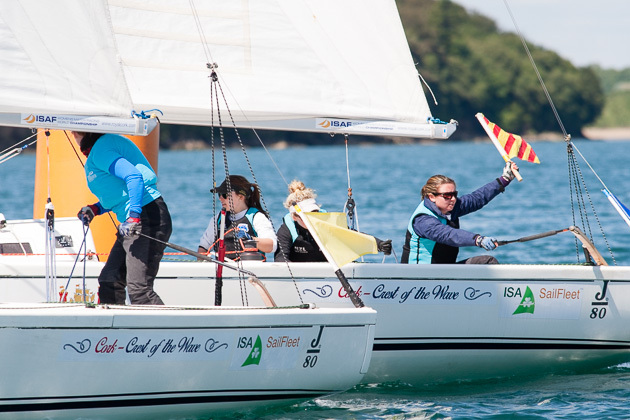 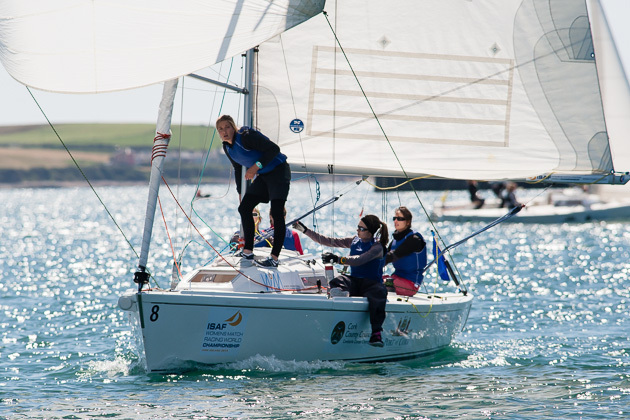 Once again a new day brought more sunshine to Crosshaven which appears to be enjoying a charmed weather life for the ISAF Women’s Match Racing World Championship series at the moment. 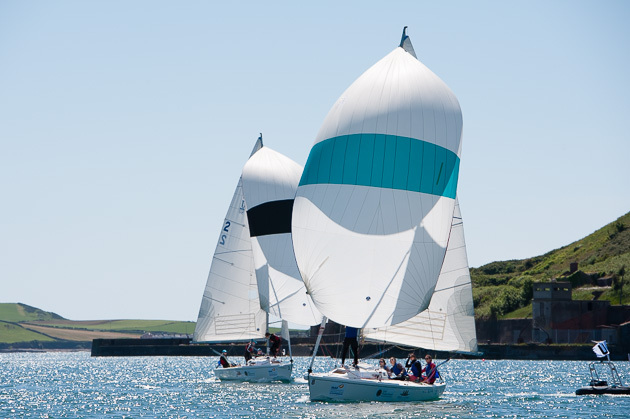 Whereas yesterday (Wed) there possibly had been a little too much breeze at times for ideal match racing, today saw light winds in the morning but improved as the day went on and the south easterly gathered momentum up to 10-12 knots in the afternoon resulting in excellent racing for the competitors. 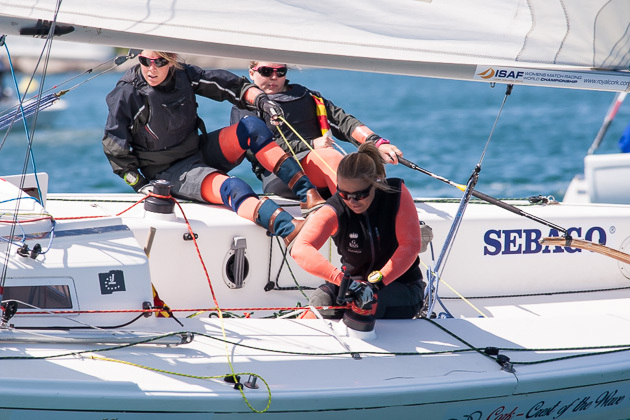 For eight hours the top international teams went head-to-head and forty two races were sailed for the second day of the Round-Robin stage in the regatta. 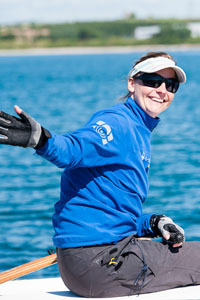 As only eight teams were going to progress to the quarter finals tomorrow (Fri) the slightest error incurred on any of the J80s could result in a knockout from the series..
Overnight leader and World #1 Camilla Ulrikkeholm had a further five wins today increasing her total number of victories so far to 10. 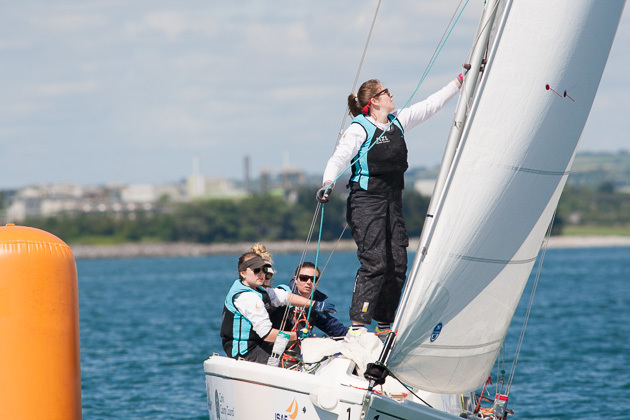 However, in an exciting turn of events fellow Dane Lotte Meldgaard Pedersen and France’s Anne-Claire Le Berre, who was undefeated today, also finished the Round-Robin having only conceded two losses each thus resulting in the umpires having to analyse each race result and competitor rankings in order to settle the three-way-tie-break. 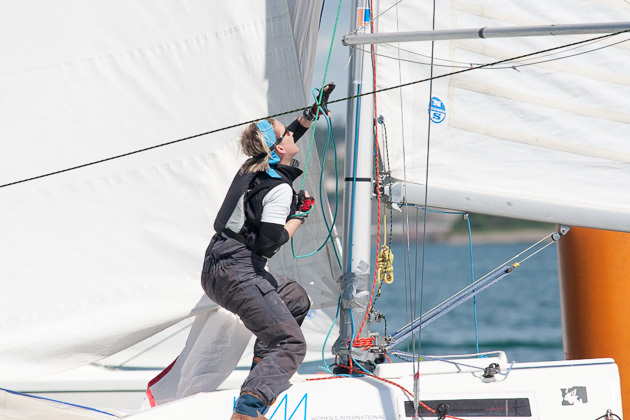 Ultimately it was Ulrikkeholm who retained her spot at the top of the leader board followed by Meldgaard Pedersen in second and Le Berre in third. 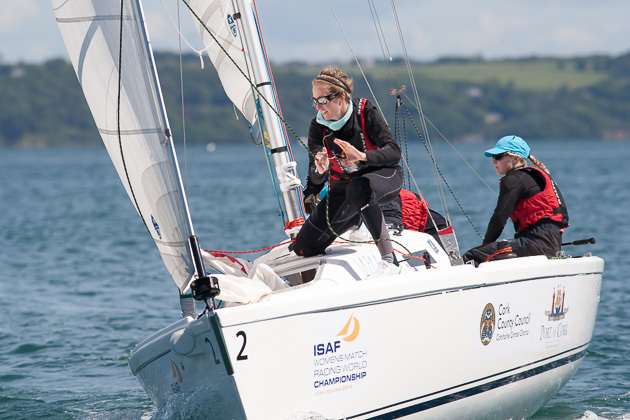 Two Irish teams are sailing but neither Laura Dillon nor Mary O’Loughlin won enough races to make tomorrow’s quarter final. 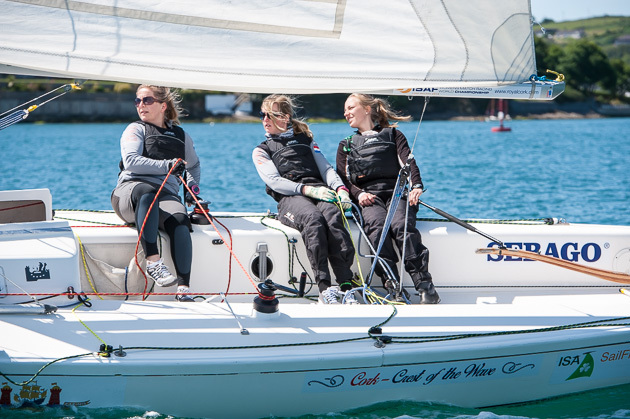 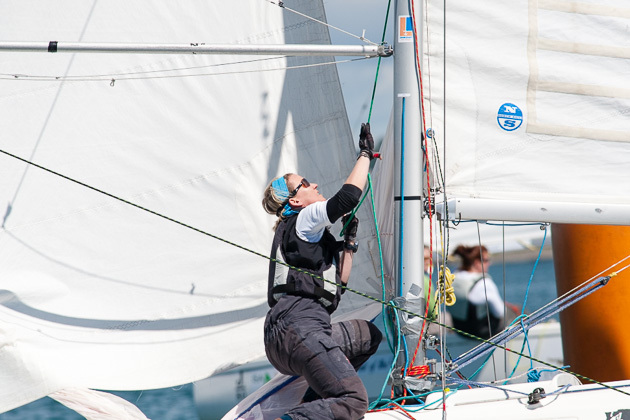 However, sailing with World #15 skipper Claudia Pierce from New Zealand, and finishing fourth today, are three talented young Irish sailors; Diana Kissane from Dublin, Isabella Morehead from Cork and Ellen Cahill from Mayo. 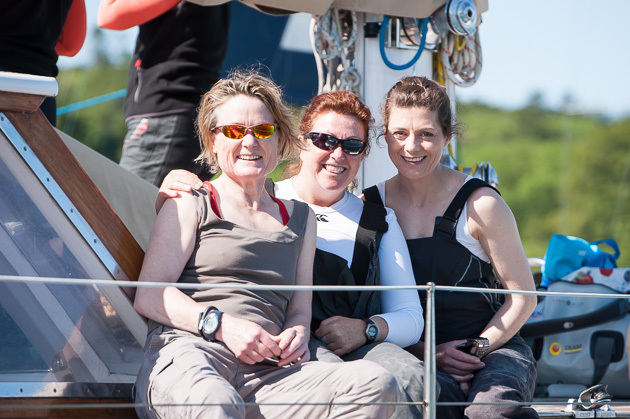 They must indeed be feeling very proud as they enter competition in the Quarter Final tomorrow (Fri). 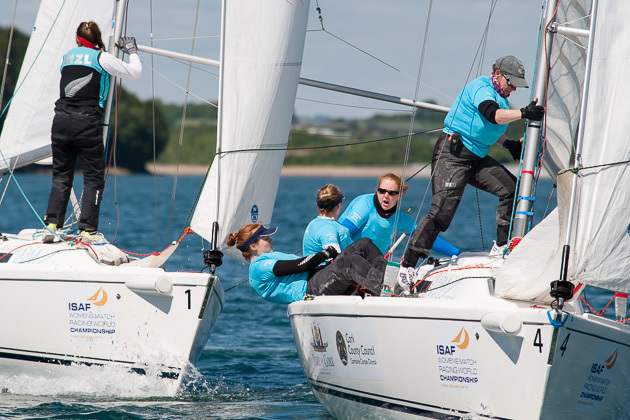 The format for the quarter finals will see teams face off against each other in a randomly selected knock out series. 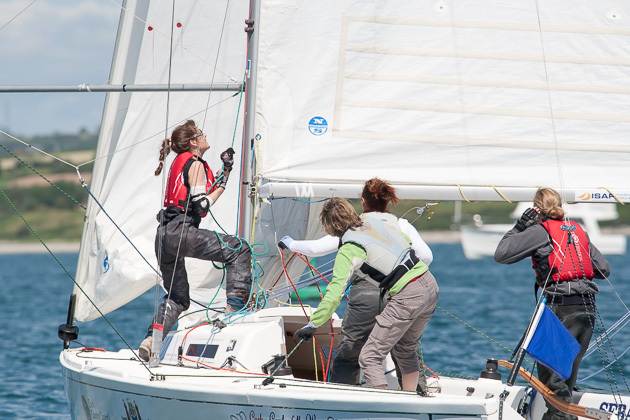 The first team in each pairing to reach three wins will go through to the semi-finals. 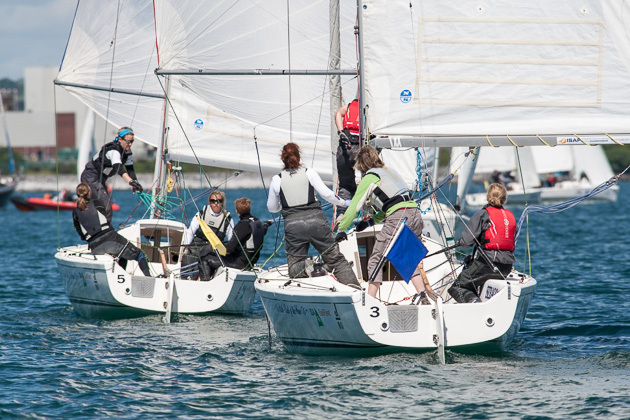 Racing is scheduled for tomorrow (June 6th) but due to the forecast of heavy rain and strong winds racing may possibly be postponed until Saturday. 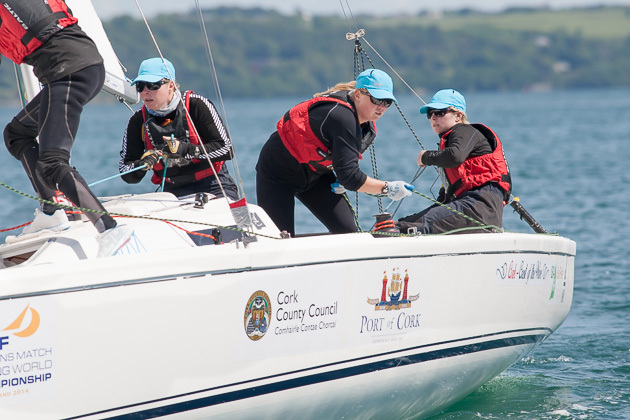 Event organisers had also planned a ‘Sail in the City’ festival in Cork for tomorrow but due to the anticipated adverse weather the decision was made on Wednesday to cancel the event.